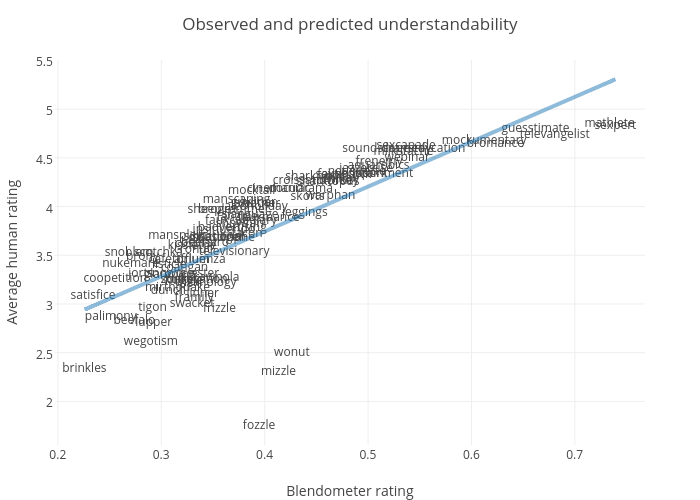 Constantine.lignos's interactive graph and data of "Observed and predicted understandability" is a , showing Average human rating vs Average human rating - fit; with Blendometer rating in the x-axis and Average human rating in the y-axis.. The x-axis shows values from 0.1971572844272815 to 0.7678625031278284. The y-axis shows values from 1.552393250871342 to 5.504528233444502.